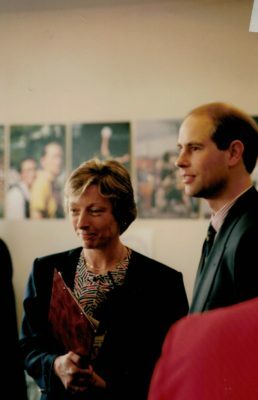 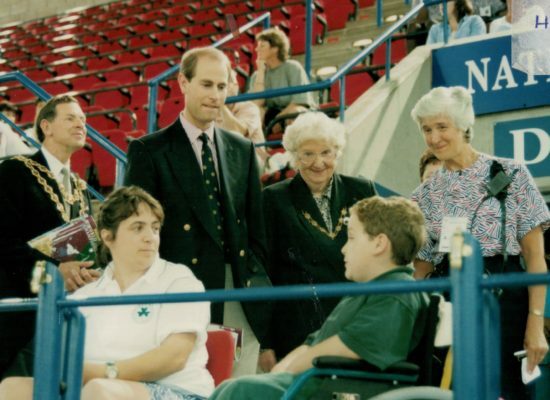 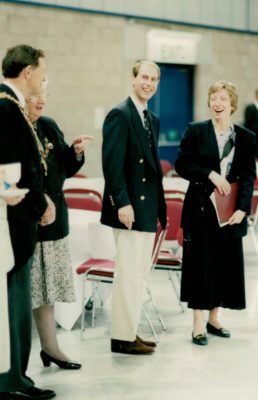 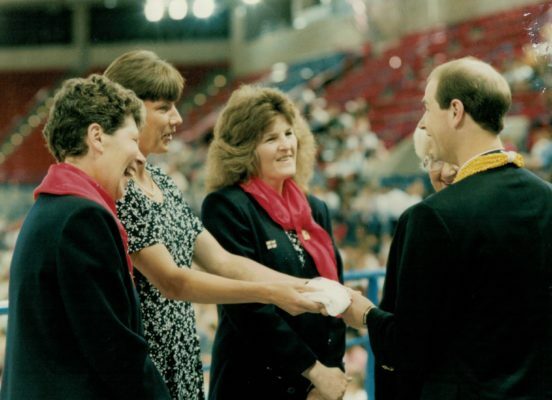 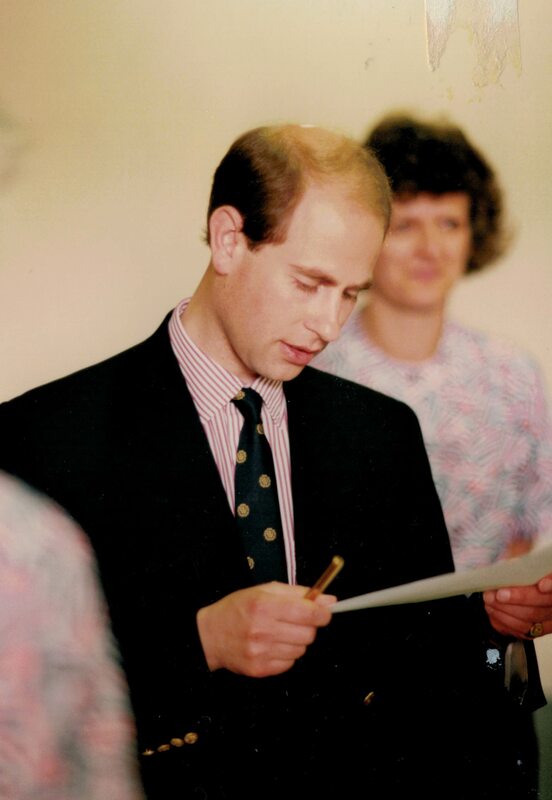 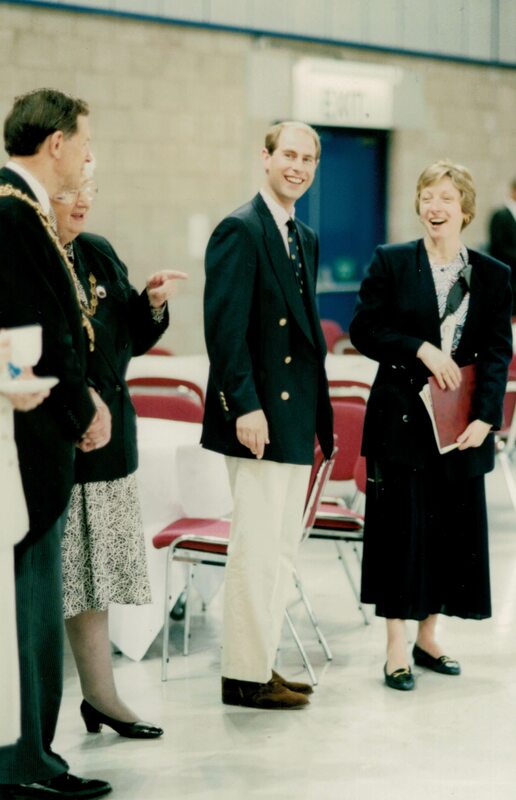 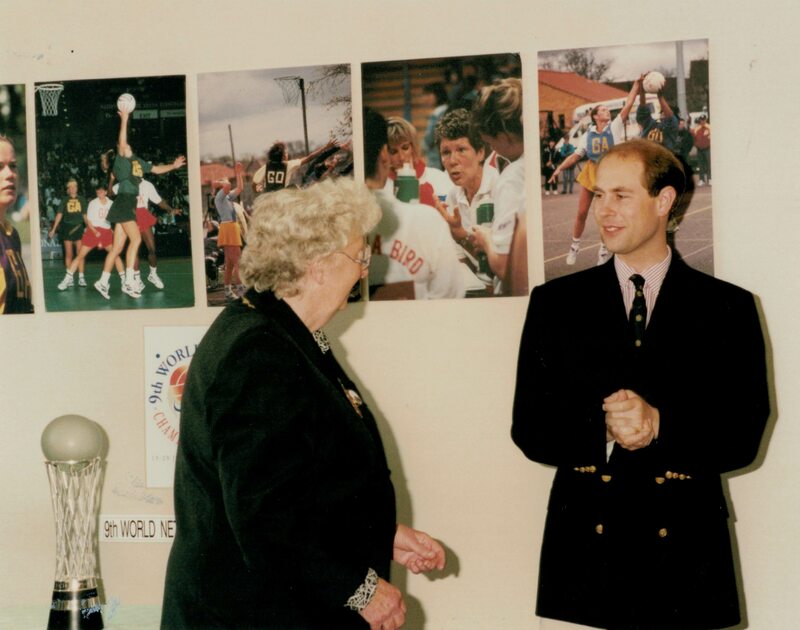 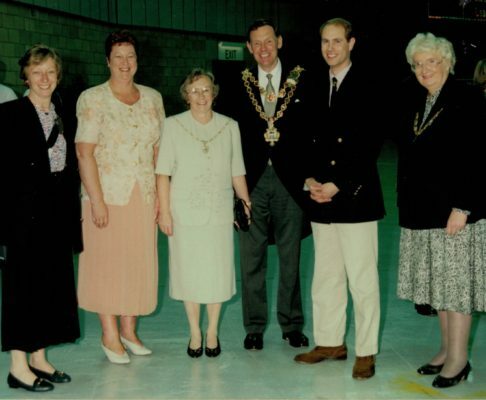 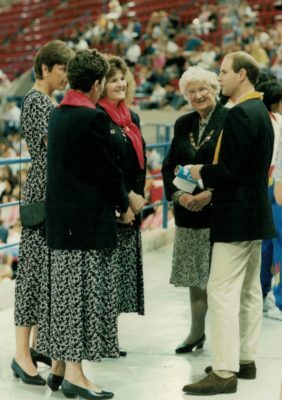 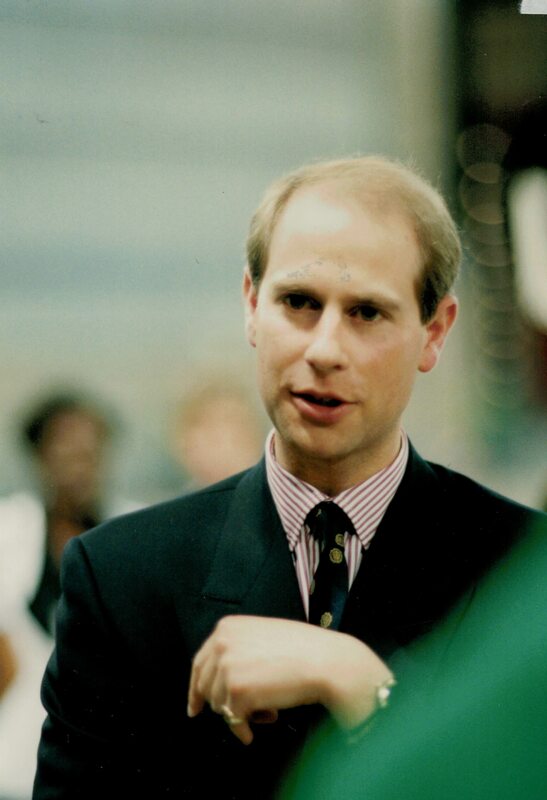 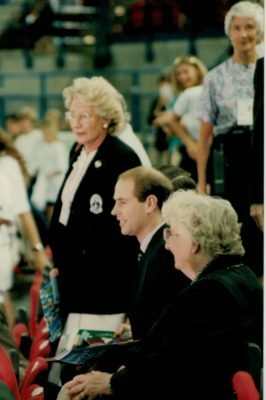 HRH Prince Edward meeting some of the England Officials - Liz Broomhead, Coach, Kendra Slawinski, Captain, Carol Spencer, England Manager, Pat Taylor, President. Kendra Slawinski, Captain, presenting HRH Prince Edward with a supporters shirt with Liz Broomhead, Coach, and Carol Spencer, England Manager. The Opening Ceremony line-up as a cart wheel enabling all spectators to have at least one country facing them. One of the displays in the Opening Ceremony Cultural Show. 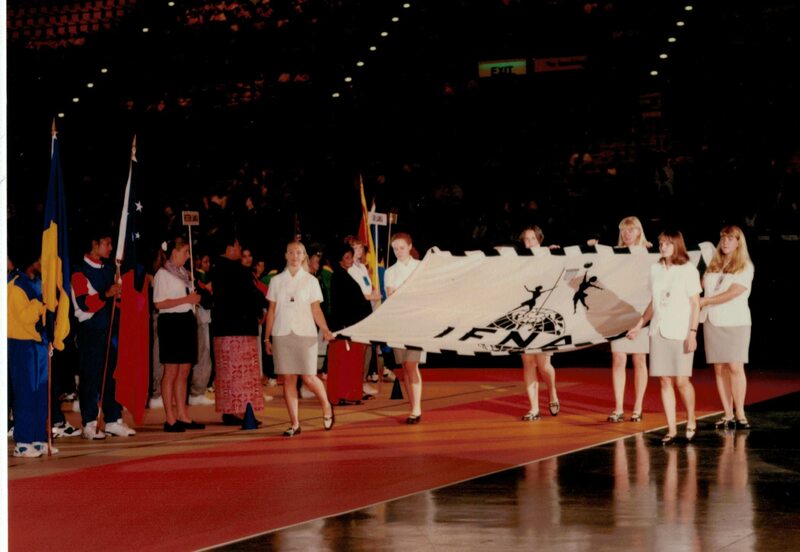 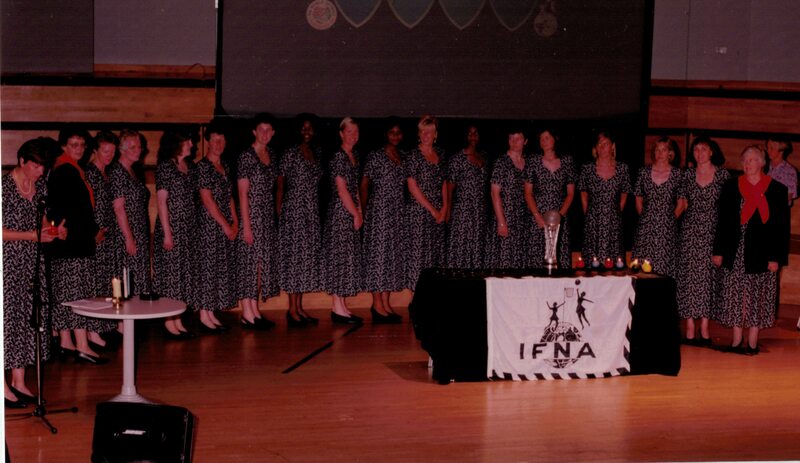 Arrival of the IFNA Flag during the Opening Ceremony. 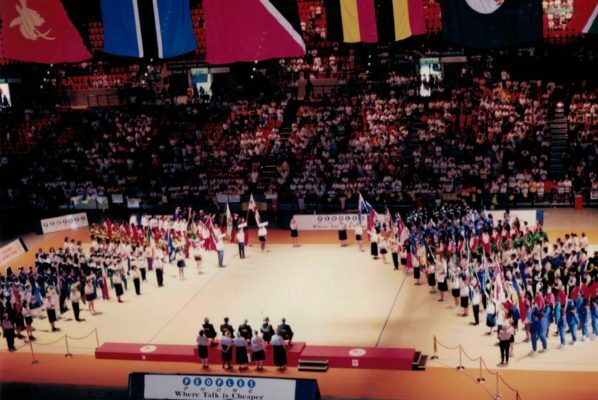 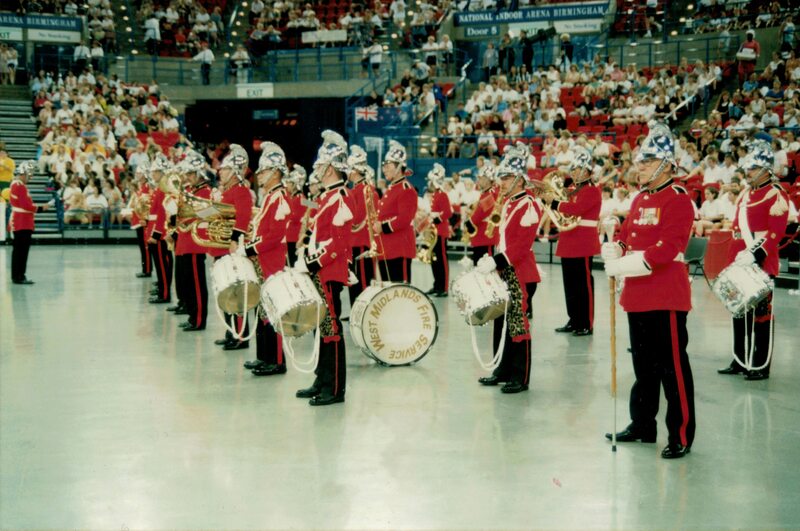 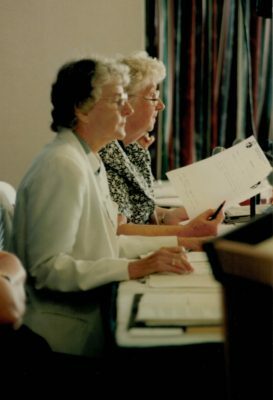 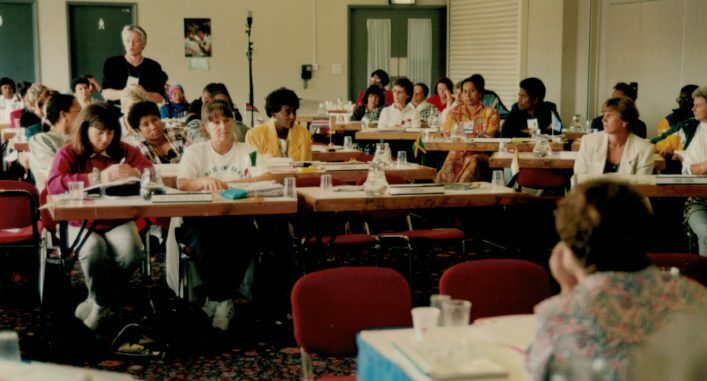 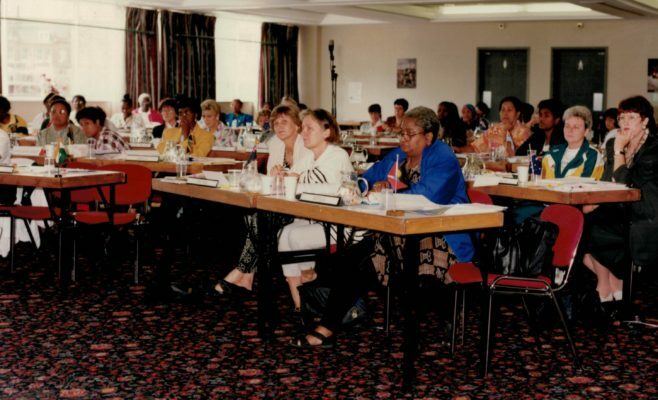 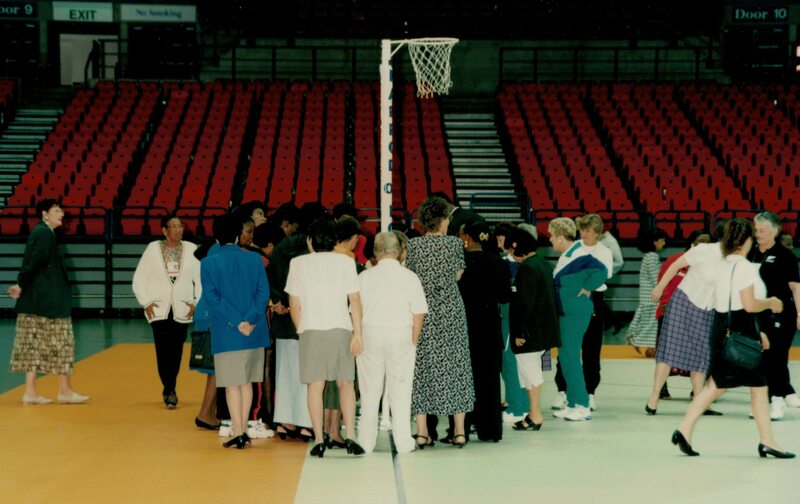 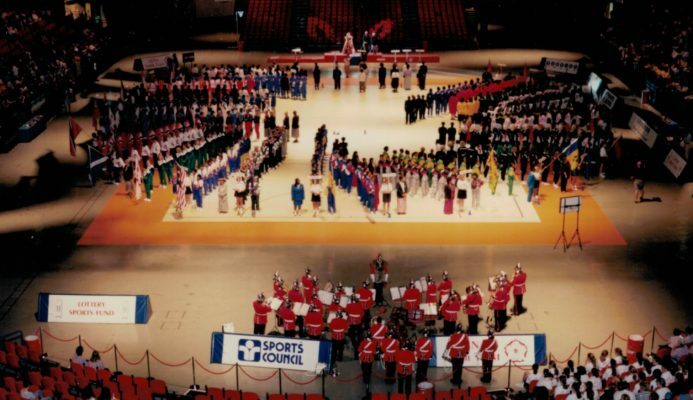 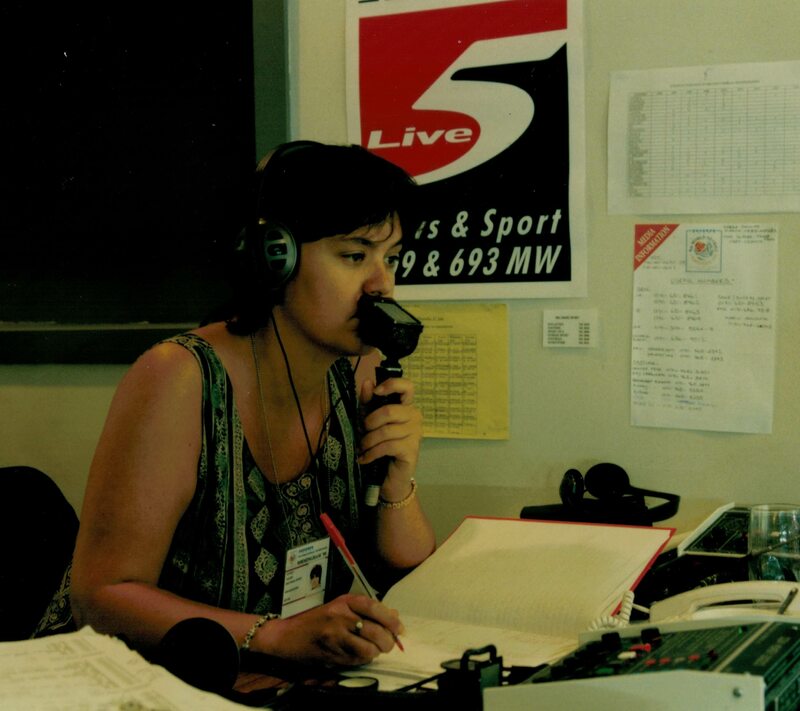 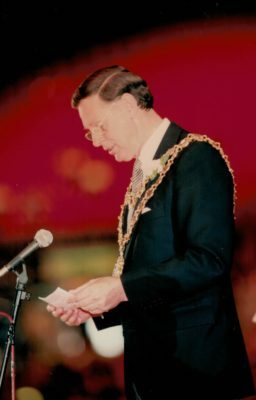 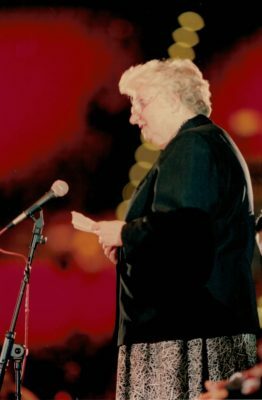 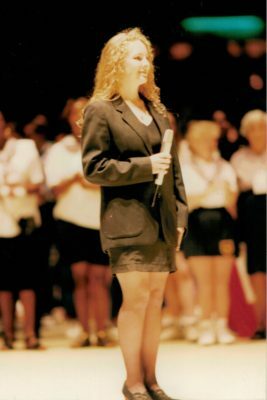 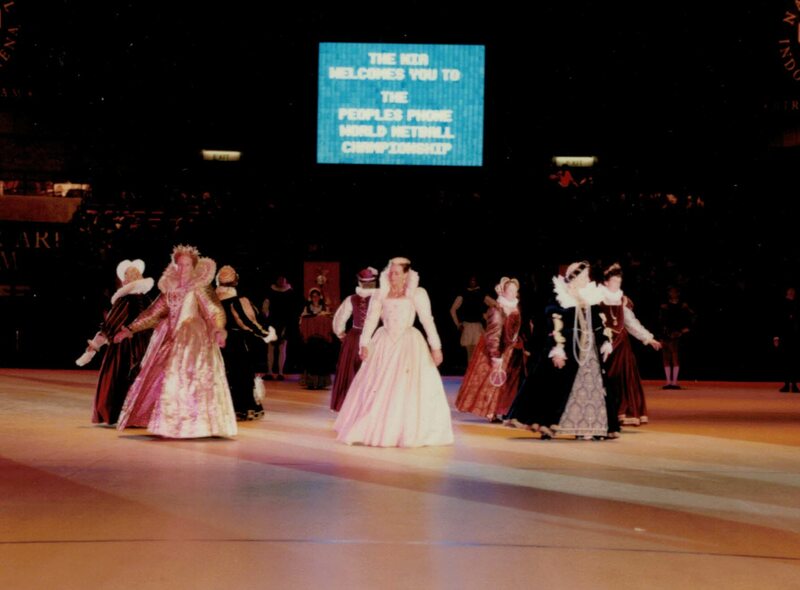 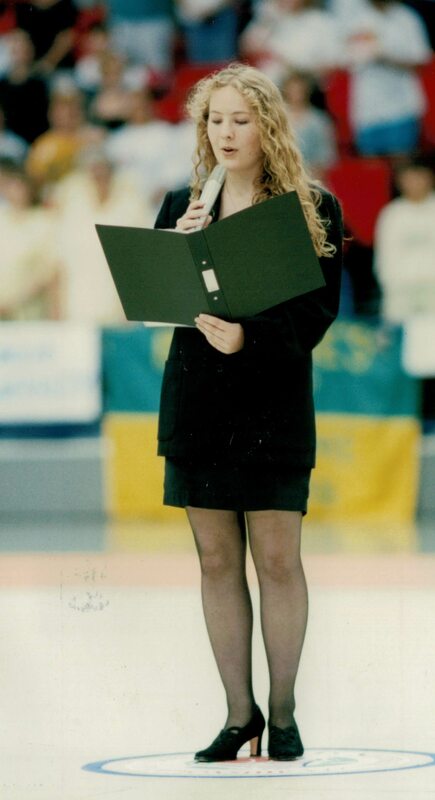 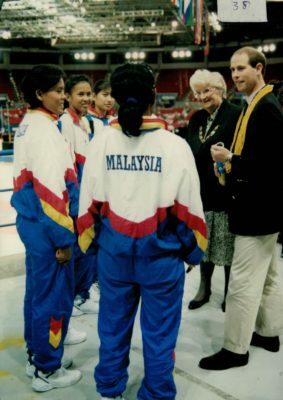 BBC Radio Five Live broadcasting from the 9th World Netball Tournament in Birmingham 1995. Brian Worrell, Public Relations Director announcing the winning ticket in the prize draw for a new car. 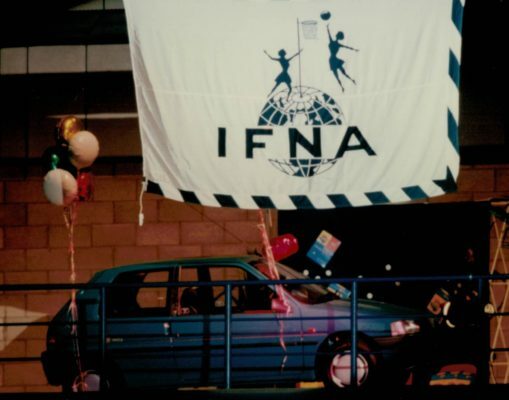 The Prize Draw new car driven onto the concourse. 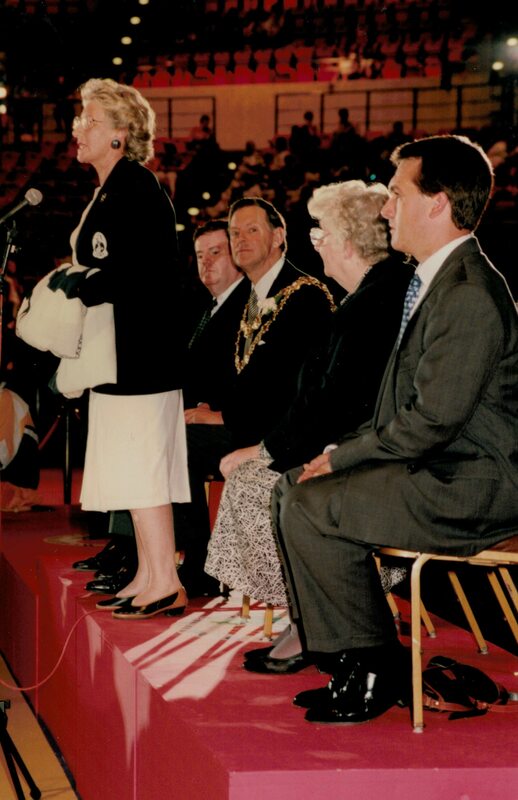 The winner was in the audience and drove the car out. 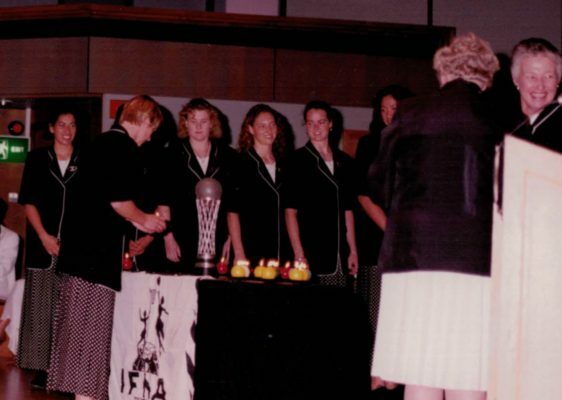 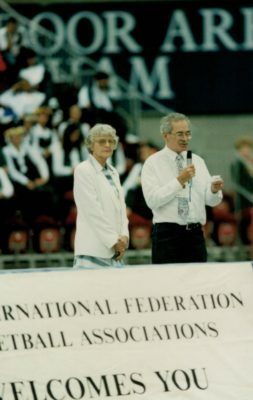 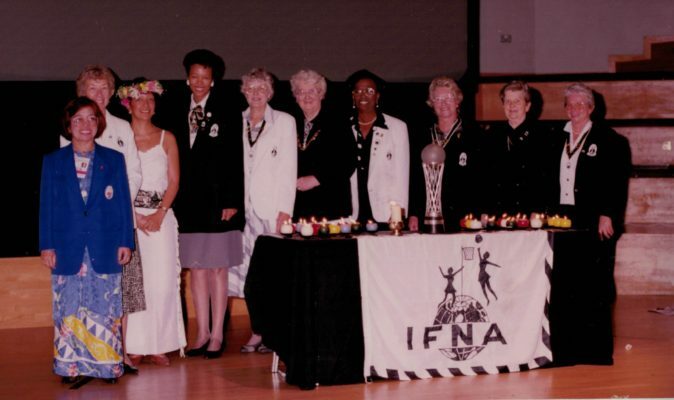 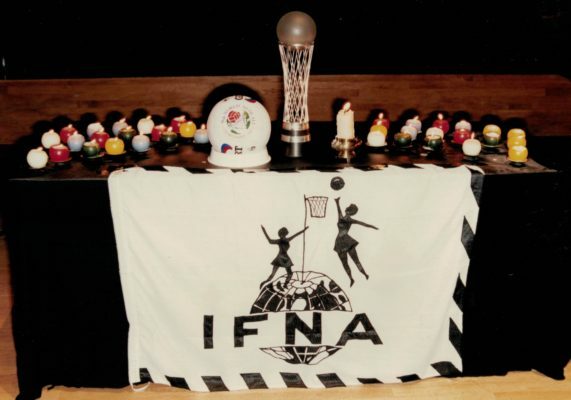 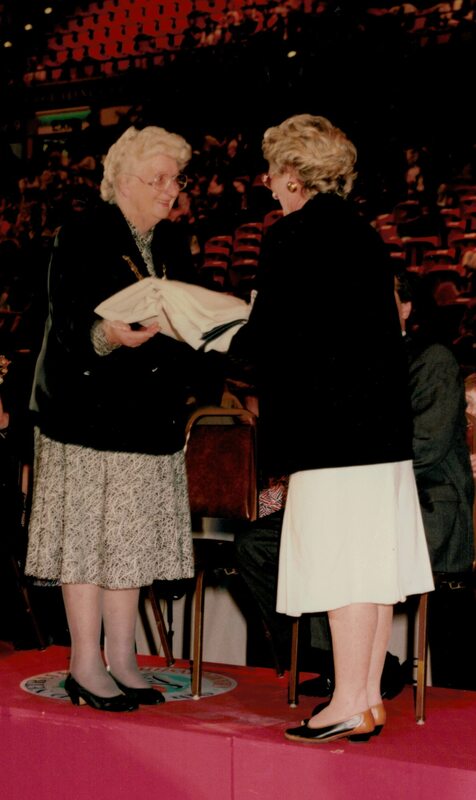 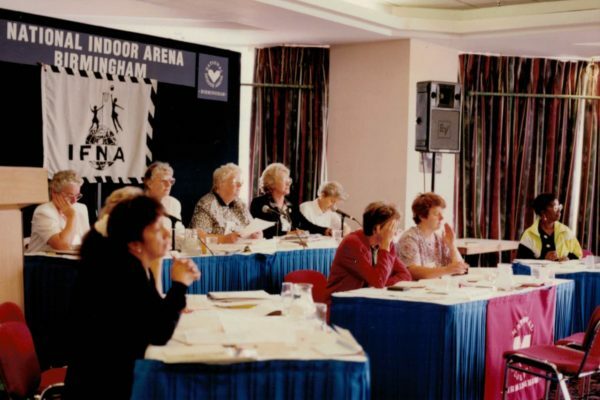 Pat Taylor, President handing on the IFNA flag to Cheryl Dawson, President of New Zealand, the hosts for the 1999 World Tournament. 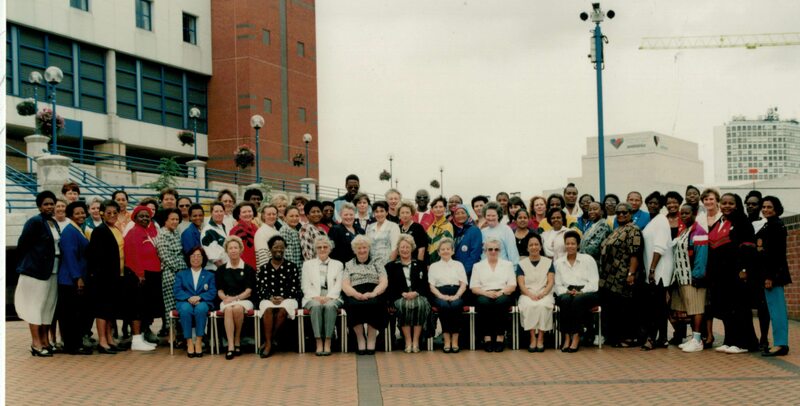 All the delegates for the 9th Conference and other committees.